I received a complimentary pair of the new AUTOSEAL® Cortland Water Bottle for this review. 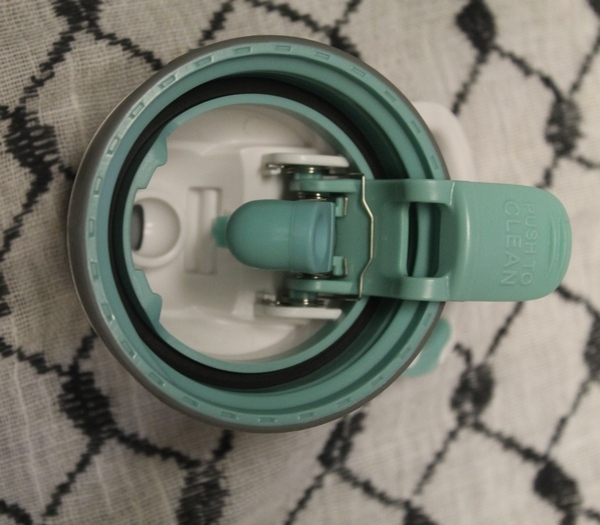 Like all the Contigo AUTOSEAL® cups I’ve gotten over the years, I absolutely love it. All opinions are my own. I’m not sure if I’ve mentioned this, but my son is “tongue-tied.” His frenulum (that little ligament thing that is typically at the way back of the underside of your tongue) is attached VERY close to the front. I’m not sure if this is why, but he’s always preferred drinking out of “sippy cups” or through a straw. In fact, I rarely see him just drink straight out of a cup. It actually just occurred to me that his tongue tie could be why. I tried drinking a sip of my coffee while holding my tongue down and it wasn’t easy! The AUTOSEAL® Cortland Water Bottle features the famous AUTOSEAL® technology that you’re used to in Contigo products. If you’re not familiar with it, basically it’s this stellar technology that keeps liquids where they belong, inside the bottle. Push a button to drink, release to seal it back up. Turn those babies upside down, shake them all around. The liquid never escapes. Ever. Trust me, I’ve put them through the wringer! If you’re still worried about potential spills, the button lock keeps you from accidentally engaging the drinking button. The Contigo AUTOSEAL® Cortland Water Bottle is perfect for on-the-go or at home. Its 24-ounce capacity makes sure you stay hydrated when you’re out for a run or just running errands.. 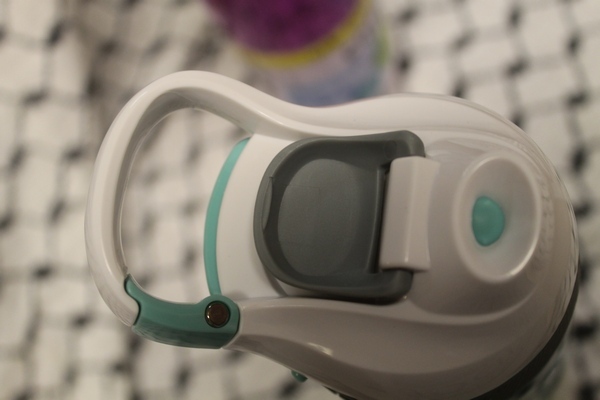 The bottle has a convenient carry clip for attaching to your bag, stroller or anywhere else. It’s perfect for keeping Jake stocked up on water or juice when we’re out and about. He also uses it every night at home. It’s quickly become his favorite cup. Thankfully, Contigo products are designed to last, so it can remain his favorite cup for a long time. Visit Contigo to learn more about the Cortland Water Bottle. Save 20% off your purchase with the code Cortland20. Follow Contigo on Facebook and Twitter to keep up with news. 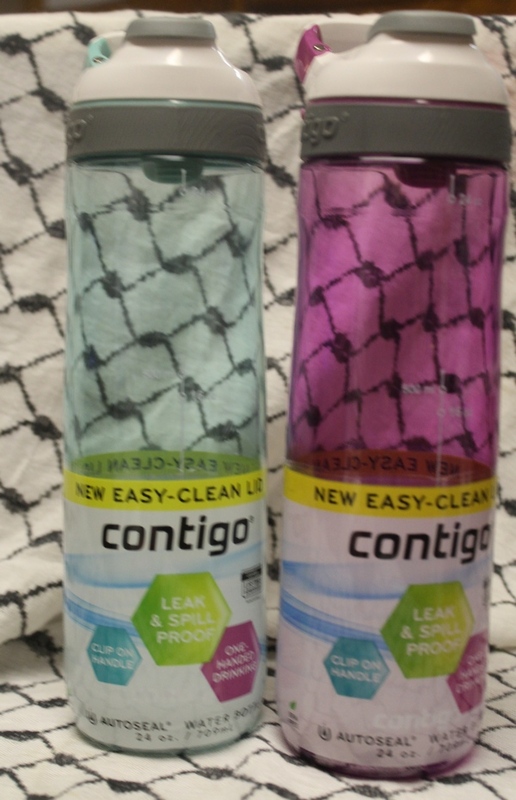 Enter below for a chance to win one of four Contigo AUTOSEAL® Cortland Water Bottles! Giveaway is open to US residents age 18+ and ends on October 29th. Good luck! This would be great for traveling and for working out. This would be great for my kids! They constantly knock over glasses but they are way too old for sippy cups. I think this would be great to have not just for my to small kids but I occasionally knock my drink over at work and this would definitely save my keyboard! With a reckless 1 and a half year old little girl in my life, spill proof is always a plus! I carry beverages to work everyday and I have to drive a while to get to work. I need a no spill cup because my grandkids seem to think it’s their job to find my drink and knock it over no matter where it is! I need a spill-proof waterbottle for when I’m on the go! I am always on the go and have the occasional spills. An autoseal water bottle would be great for working out too! I need this because it would be perfect for working out. Autoseal means easy drinking and no more spills! My daughter would love this, she runs cross country. With a 5 and 7 year old old, Contigo is a necessity! I am so sick of my water bottle leaking into my bag or on the front seat of my car! I NEED a leak-proof bottle! I have a 5 and 3 year old who tend to knock things over occasionally 🙂 This would be great for taking in the car too! I have a 3 year old, and I babysit a 1 year old and 2 Two year olds mon-fri. Spills happen frequently!!!!! I sure could use one for when I am traveling and working in the yard. I have a 5 year old grandson who is also tongue tied. This is worth a try!